BIOMEDevice-2018 is back for its 11th year! This is your chance to join 2,000+ medtech professionals for sourcing, networking, and education that can push your medtech projects to the next level. 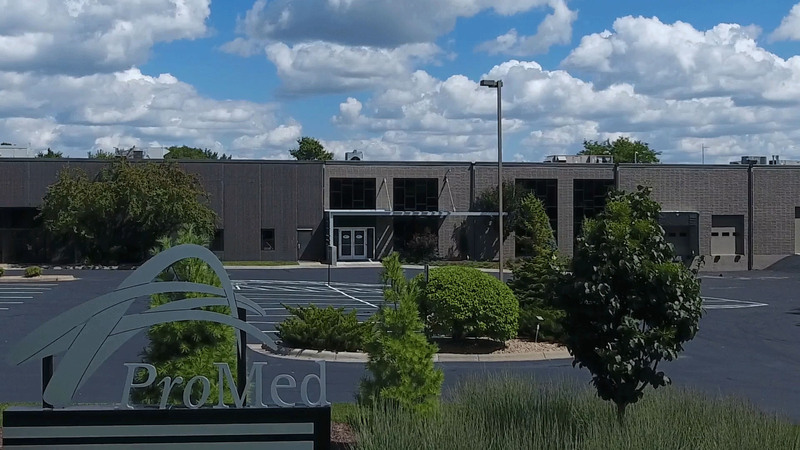 Since 1989, ProMed has been a leading force in the art and science of medical manufacturing, addressing an industry need for the cleanroom injection molding of medical silicone components. Our primary focus is on short and long-term implantable products, intricately designed from medical grade silicone. Over the years, we have evolved into a full-service provider of molded silicone components, biomaterial grade plastic components, combination components (incorporating pharmaceuticals), value-added assemblies and the assembly of complete devices. We utilize state-of-the-art technology, draw from an experienced/highly-technical team, and take a creative systematic approach to provide you with dependable, high-quality and overall cost-effective solutions for your manufacturing needs. ProMed has the resources, quality systems and facilities to meet your most critical dimensional and cosmetic print specifications and complies with rigorous industry standards. 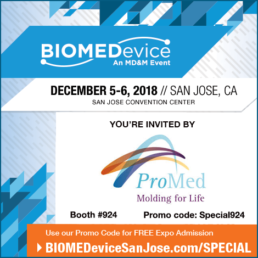 ProMed has garnered a reputation as the world’s benchmark for silicone molded components and assemblies – and is one of a handful of companies in the world to provide contract manufacturing of drug-eluting products. Facilities are in Minneapolis, MN and Dorado, Puerto Rico with a total of 97,000 square feet of manufacturing space and approximately 175 employees. Rapid prototyping in as fast as 3 days, let’s talk about your projects! The leading contract manufacturer of polymer-based drug releasing molded dosage forms and combination device components. BIOMEDevice -2018 is back for its 11th year! This is your chance to join 2,000+ medtech professionals for sourcing, networking, and education that can push your medtech projects to the next level.